Today on the Doc On The Run Podcast, we’re talking about stresses and lifestyle habits that contribute to running injuries. This episode is a little different than others and that we are featuring a recorded portion of an interview for an injury prevention seminar that I was asked to help create for RunnersConnect which is a team of experts, coaches and fellow runners dedicated to helping you train smarter, stay healthy and run faster. In this episode, you will learn some strategies to modify some bad habits so you can heal faster and get back to running. Sinead Haughey: Today we have Dr. Christopher Segler joining us. Dr. Segler, thank you for joining us. Would you care to tell us a little about yourself? Dr. Segler: Sure. Thanks for having me and good to be here to help and provide some useful information for all the members of RunnersConnect. I think it is a very interesting program you guys have and hopefully this will provide some value so that all of your runners can keep running and avoid some of the injuries that I end up seeing. I’m a sports medicine podiatrist based in San Francisco and I have a very specialized practice, very focused on runners. I’m a runner and a triathlete myself. I have done fifteen Ironman races. I have done the Ironman World Championships in Hawaii. I have been running for a very long time. I like to run and the primary thing that I do is that I see runners, most of whom have become injured and they’ve been told that they can’t run or should stop running. It’s really frustrating when a runner is told they can’t run a specific race and it’s incredibly frustrating when they’re told they should actually take up another sport altogether, which seems kind of crazy to me. That’s what I do is I see runners. I try to help them figure out how to run, how to keep running and even do races when they’ve been injured. But what that really entails is trying to figure out what runners can do to decrease the stresses or increase the healing process in some way that helps them recover faster and then continue and persist with whatever race it is that they have planned. I also go to medical conferences and teach physicians about that. I’m actually speaking next week in Hawaii at the International Foot and Ankle Foundation conference. I will be lecturing to a large group of podiatrists and foot ankle surgeons about running and injuries and how they can help their own patients to heal faster and keep running, even as they heal. That’s mainly what I do. I try to not only get physicians to understand how to help their own patients to stay active as they heal a running injury as I do with my patients. It’s really the same thing though. Treating an injury and preventing an injury are all the same. It’s just different sort of places on that same continuum where someone happens to land. Sinead Haughey: In your experience, what are some of the most common causes of injuries among runners? Which seems kind of silly, but it’s true right? I hear doctors all the time say “running causes injuries”. This is not true, it’s not true. Running does not cause injuries. Faulty biomechanics sometimes contribute to injuries. Running faster or more distance than your body can tolerate causes injury but it’s not running. Running is an activity. Running is not a cause of injury. Too much stress is a cause of injury. The most common thing by far but it’s also the most common thing that’s seen by all patients at least in podiatrist offices. It’s very, very common. That’s not necessarily a running specific injury but it’s so common! 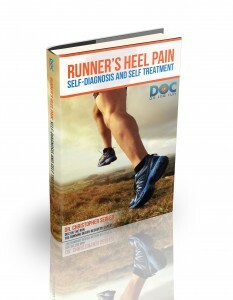 I actually wrote a book on Runner’s Heel Pain so people could diagnose and treat their own heel pain because most runners don’t really need to go to a doctor when they have that. That’s the most common but it’s not really troublesome. 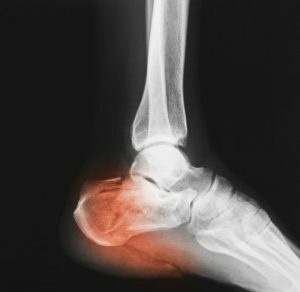 It’s really forms of tendonitis or stress fractures that seem to frighten and worry and disrupt running for most athletes when they’re training. The Achilles tendon, the one that really helps you push off that when gets injured a lot in over-training. The peroneal tendons are the ones that kind of slow you down and help you decelerate when you’re landing. If people are running on the wrong surface, they can get perineal teninitis. On the opposite side of the foot, the posterior tibial tendon can develop a similar kind of tendonitis if they have an unstable flat foot and if they’re running in a shoe that’s too flexible or if their running form is off. A very, very common problem that I see and that’s also the real area of confusion for patients. In fact, I saw somebody on Monday and she did Ironman Louisville on Saturday. The short story with her is that I saw her a month ago and she had a stress fracture. The “standard” treatment for stress fracture is six weeks in a fracture walking boot, she was told she can’t do the race. I said, “Well I don’t think that’s true”, so I looked at her. She had a relatively mild stress fracture and I said, “Look, you could do all of these things and you if do them correctly, if you healed sufficiently between now and race day, then I think you can still do the race.” To be clear, I corresponded with her. I think I had twenty-seven e-mails in that one-month period, back and forth where she would say “can I do this”, “what about that”, “can I ride a hundred and twelve miles this weekend”, “should I run”. Over and over she said “should I run” and I said that she shouldn’t run at all until race day. Well, it turns out as I saw her on Monday, right after she got back from Ironman Louisville. She had a new PR. It was her fastest race ever even though she’s technically should not have done the race according to the standard doctor rules. She was very careful though. She, like most runners that are actually following a really good program, they have specific things that they do. They’re able to talk to their coach and in that case I was basically functioning as sort of a substitute coach. She had a real coach, who would say “You should do these workouts” and she would check with me if whether or not that was safe. 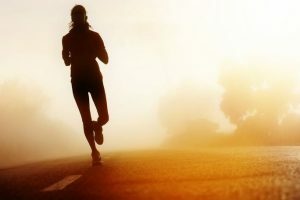 That’s the thing, as long as you know what to do, you can continue running and you can continue training. Even if you feel like you have an oncoming injury and it’s about to become a problem. There’s always a way around it if you can talk to the right people, and if you have a coach and if you have someone you check-in with. They’ll understand that, you can do this or that workout and not really run into so much trouble. It’s really cumulative stress and it’s a whole variety of stresses that causes injuries. It’s not just one thing. We always want to blame one thing. We’ll say “Well, it’s the shoes”, well it’s rarely the shoes. If you really have an unstable flat foot and you run in the wrong kind of shoes then maybe the shoes are really contributing to that but it’s just NOT ALWAYS true. I mean, RunnersConnect has a run form analysis program right? If you know what your run form is and you modify it, you might be able to decrease the stress on your foot. That’s not really debatable at this point I don’t think. I think we can agree that it works. If you follow the appropriate progression through your training for a marathon or anything else with a program with RunnersConnect,Y you can avoid those avoidable injuries. It’s really all of these stressors that add up. I have a lecture that I give to physician about stresses and avoidable injuries. In that talk, I have this graph where I talk about what happens when somebody gets a running injury because the doctor said “Well you ran too far”. They all say that, “too much”, “too fast”, “too soon” thing, the terrible “too’s” right? It’s ridiculous, it’s not that at all. It is all of these different kinds of stress adding up and where they cause something to break whether it’s metatarsal bone or stress fracture in the heel bone or Achilles tendonitis or anything else. You have mechanical stressors, that’s one form of it. Running too much, so to speak, or what you perceive is too much, that’s mechanical stress. Well then you have all those other things, for example you have oxidative stressors. I actually did a search recently when I was doing a lecture for a conference and I did a search on oxidative stress and inflammation because all these injuries start with an inflammatory reaction or some kind and sometimes that leads to bigger problems through over training injuries. When I did that search there were 19,361 articles that I found in medical journals about oxidative stress and the inflammatory process. The oxidative stress has a lot to do with the way that your body deals with inflammation. This is been widely researched and the implications have been repeatedly reported. Then there are environmental stressors like pollution. If you happen to run in a really busy area like in Houston for a long time you may be exposing yourself to environmental stressors. Many people in Houston run in Memorial Park and Memorial Park is right between I-10 which is like ten lanes going across the country. And on the other side of it is the 610 freeway which goes all the way around Houston. The park is centered right in the middle of sort of this concentrated area of traffic around the whole city. On multiple occasions it has been reported to have the worst air quality in the entire city. If you’re running where the most pollution is, you’re going to get oxidative stress. If you ride a bicycle following a bus, that’s probably not a great way to breathe and those environmental stressors add up. You also have hormonal stress, if you have any kind of thyroid dysfunction or even stressors from anxiety if you really have a stressful work, project, marital discord, any of those kinds of things. Those hormonal stressors can actually be measured, your cortisol levels go up, your stress goes up and that is actually counter-productive to the healing process that runners need when they’re actually training. Because training is just sort of very organized functional tissue damage, right? You train, you run, you do tissue damage, you get sore with all the tiny little bits of damage that you do to the muscles and bones, tendons, ligaments. All of it, they get stronger from that actual stress that you applied. And if you recover enough for your next workout, you’re stronger and you can run faster and further and you continue to progress. If you do too much, you have too much stressors, then your body is not able to actually absorb all of the stress and you get cumulative tissue damage that adds up to an over training injury. If you have hormonal stressors that also causes a big problem. You can document this with athletes. With athletes who get overworked, overtired, under slept, their cortisol levels go up, the stress hormones go up and you can monitor that and see that it’s happening. All those things together create way too much stress and something becomes injured. Sinead Haughey: This may fall in line with the last question. What are some bad lifestyle habits that can make one more susceptible to injury king of like what you’re saying, insufficient sleep, bad diet, etc.? Dr. Segler: That’s a really interesting thing because it’s very complicated. It seems so simple. 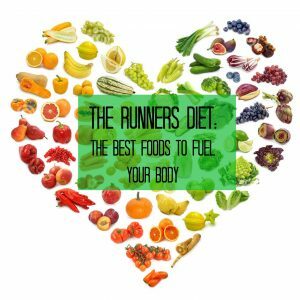 The truth is when I see runners and I ask them. I ask them all those questions, how much do you sleep, what are you training for, where specifically do you run like what side of the street do you run on, which trail do you run on, where do you run, all of these things. All of these specific things about lifestyle really do matter. Do you smoke? Well, most runners don’t smoke and that’s just a fact, it’s pretty difficult to smoke and run, right? Those things obviously matter but where do you train. Do you train where there is a lot of traffic, do you train in an area where there is clean air, is there a lot of smog where you train. I remember in Salt Lake City, when I was in residency at the University of Utah and there’s an inversion that happens that when the smog is really really, really bad. I was training for marathons and Ironman and I remember this one time that I could barely see the light post when I was running on the street because the smog was so bad and that’s not good. That’s not really helpful for training. It probably would have been better in retrospect if I hadn’t run at all in those days. All of these different things that really can add up in terms of lifestyles. Obviously, sleep matters. Sleep is the most underutilized resource available to runners. I’m absolutely convinced about that. It really does make a huge difference. So this happens all the time like why did this athlete who haven’t done an Ironman for five years, why did she have PR after basically getting a broken foot and racing on it. Why did she have a PR? It’s because she was probably more rested than she’s ever been. 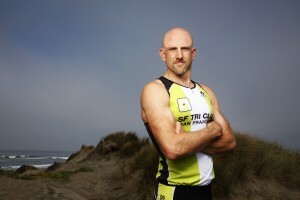 Personally for me, my fastest Ironman ever was when I got sick before a race and then I was really limiting my training. Of course I was all anxious, I was super frustrated, I was really worried. I didn’t feel good enough at start of the race, but as it turns out it was my fastest one ever. This is not an original story though, there are many many accounts of people having their fastest marathon ever, their fastest triathlon ever, just because they had forced rest. Because many athletes become chronically over-trained. Particularly people like me, the historically self-coached athletes, we think more volume is always better; which is the value of having a coach with somebody through RunnersConnect where you have somebody who really knows what they’re talking about. I’m a foot and ankle surgeon, I know how to fix things that are broken. I know roughly how to train for marathons and Ironman and have done a lot of them but that doesn’t really make me an expert in coaching. It just makes me somebody that has a lot of experience with it but I haven’t helped seventy-five thousand runners like RunnersConnect. 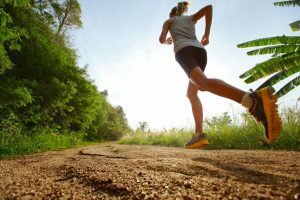 I helped a lot of injured runners but I don’t really know all the small adjustments that can be made that are most helpful to achieve a goal and avoid injury. You have to have a coach that understands those things too, not just how important it is that you sleep but that you communicate that to your coach. For example, we have a seven-month old baby right now. She doesn’t sleep that much right now. Last night I slept maybe three hours. Three days ago, I slept for one hour and then I go to work and see patients and everything else. I’m not sleeping that much. If I were actively training for something that was really important and I had a very specific progression right now, I would be talking to my coach everyday about that. I ran ten miles on Sunday on trails and if I had not slept at all, I would have to tell my coach “Okay, look I didn’t sleep. Should I shift this workout to a different day? What should I do?” You are way more at risk if you’re not sleeping appropriately when you’re doing hard workouts because you can’t absorb tissue damage. This doesn’t work, it’s the same with nutrition. Nutrition is obviously a huge topic. What is nutrition? Nutrition is not what you eat. That’s what everybody thinks, it’s salads versus junk food and it’s not that simple. Nutrition is what you digest, what you absorb and most importantly what the cells actually take up and use, that’s what nutrition is. If you don’t have appropriate nutrition, you don’t have the appropriate capacity for absorbing nutrients, you have a real problem. If you take calcium and you don’t take Vitamin D, it’s not going to help. It’s just going to go right through. It doesn’t get absorbed and if you have irritable bowel syndrome or something like that or you get the stomach flu, you’re not going to absorb nutrients and if you’re not communicating that to your coach, it dramatically increases your risk of injury. Those are really key things so in terms of healthy lifestyle, it’s really nutrition. It’s one of the biggest things after sleep for sure. Sleep is simple, all you have to do is sleep. But nutrition is a lot more complicated. Every time I run or ride, I make the specific recovery smoothie. It has all kinds of stuff in it, it’s got spinach, kale, ground flax seed, hemp protein, bananas, cucumbers, blueberries, strawberries, raspberries, mango, papaya, pineapple, all kinds of stuff. I have had no less than a hundred patients ask me which of those are the most important. If I knew, I would just eat that all day. I don’t, I’m not a nutritionist. I don’t really know what’s most important but I do know that most of it’s in there and so you only get to have the broad range and you have to have it frequently. When I started doing that, my recovery actually dramatically improved. Normally if I do a 100-mile bike ride or a 20-mile run, I have to basically take two days off or if I could really do anything of use but that changed to about twenty-four hours after I started really paying close attention to my diet. It makes a huge difference but you have to have a coach that understands the implications of that and also timing. For example, on Sunday I went to this place where I can run to the redwoods, it’s really beautiful, that kind of stuff but I have to drive to get there. I make the smoothie and I take it to my car and I drink it within five minutes when I’m done and when I go to the track and I do my speed work, same thing, I take it with me. It’s already prepared within five minutes like literally under my cooled end walk, I drink it. I don’t wait an hour, I don’t wait two hours, I do it right then and that is really crucial. It’s not just eating it, it’s when you’re eat it that really matters too and there’s a whole range of things. There’s Branden Brazier wrote that talks about how being a vegan can reduce your overall inflammatory process in your body which should and allow you to deal with the inflammatory response from your training better because it’s less work for your body to do and it totally makes sense. However, I also see lots of vegan athletes that get stress fractures. I don’t really understand why, they put a lot of effort in making sure that they get enough protein and all these other nutrients but it is a fairly common thing. We don’t really understand exactly why that happens so much but it is very complicated. I think anybody that gets recurring injuries or seems to push up against their threshold for injury repeatedly really needs to talk to somebody who’s a nutritionist to make sure that they’re not missing something in their diet or the timing of their diet that puts them at risk. When I’m really training I eat a lot, not just volume but frequency. I actually do this thing where I make all these meal packs, I have this specific cooler that was built to go in my car when I do house calls. I go see athletes at home when they’re injured so that way I can work on their running shoes and all that stuff. But I drive around all day, so I have this thing, I make all these meals depending on how long my day is. I have them all stacked in the cooler in my car and I eat them between patients all day long. I eat at least four meals a day, sometimes five or six if I’m really training. If I’m ramping up my training for a race, then I eat more and I eat more frequently because that’s the way my body process the nutrients most efficiently. If you’re eating two or three meals a day, I don’t think it’s a great plan for most athletes that are in training. It’s just sort of dividing meals up in smaller meals more frequently certainly can allow you to incorporate all these nutrients much more effectively. Sinead Haughey: I do know, in my personal experience, I anticipated just when and how much I was eating. I definitely saw a lot of improvement in my running and there were definitely times where I would finish a workout and I would go to class and not eat anything for probably an hour and a half. Like you said, there’s a lot to be said about just when you’re eating and obviously how much. In terms of just injury prevention what is the sign that suggests that your muscles are breaking down and too rapidly sort of don’t have time to go back up again, do you start eating nutritionally then? Dr. Segler: Yes, mostly. I mean what is an over training injury? It’s just where you have done too much. It happens with all kinds of people, with all kinds of stressors but the bottom line is, is that all that is really happening is you did more damage than your body can deal with before the next series of workouts and so you keep increasing damage. It’s not getting fully repaired and so it gets injured more. If you have a micro tear in a muscle or a tendon, a really small injury basically and then you give it plenty of time to rest, it will heal and then it will actually be stronger. But if you don’t, if you did a little too much then you stack workouts too close together, that’s when you get a problem. In that process, if you’re missing any particular nutrients that are crucial to rebuilding that tissue whether it’s antioxidants or if it’s magnesium or calcium or vitamin D or protein. If you’re missing any of those nutrients at all then it’s sort of latency in the time that it takes for the repair to happen. That’s why it’s so crucial, that’s why I really do eat so much more frequently when I’m really training hard. I think it makes a big difference. It’s boring, don’t get me wrong. I wouldn’t exactly say that my repeats are fun. When I’m on the track, I’m doing my ten mile repeats is not exactly fun. Sure, running is really fun but doing ten mile repeats on track is not fun. It’s lots of things but it’s not fun. I think about with my nutrition. Yeah, I like to eat. I like to eat all kinds of different stuff but it’s also that I have a goal. In most cases, it’s attached to a specific time and I need to have a specific strength and a specific speed to achieve that. If I want to achieve that, then I have to dedicate all of these different efforts. Whether it’s sleep, going to bed on time, all that kind of stuff. I have to really pay attention to that and it seems like when you think about how hard runners are trying to work when they want to get faster and better and they want to achieve some new goal whether it’s a marathon or half marathon. They’re working so hard. They’re putting so much effort and they’re wearing themselves out and it’s like if you could just do these little things, they don’t really cost you anything and get this additional benefit makes so much sense. It’s like free speed. It’s doesn’t take additional real effort or hard work, it’s not like an extra mile repeat added to your usual workout, it’s just an additional benefit you get. If it seems like something might be missing and it’s taking you too long to recover, you’re concerned about that and discuss it with your coach to figure out whether you need a nutritional consult, do need to just really talk to your coach about what you’re eating and see if there’s something missing. You may not be eating enough proteins. If you take hemp proteins, the only one that has all of the amino acids. The coaches understand all of that stuff, that’s why it’s really important to talk to them and communicate with them to see if something’s missing because it’s just if you accumulate too much tissue damage, if you keep adding on damage on top of damage, somethings going to go. It doesn’t happen overnight. It’s not usually one run. It’s usually been adding up for a long period of time. In most athletes, it’s usually about four to six weeks before the race. They start adding in speed work and intensity and it’s then you have lots of accumulated tissue damage and you start adding really hard efforts, that’s when these injuries happen which of course is heart breaking. You have to be cautious and make sure that you’re really doing everything you can on all these with nutrition, sleep and hydration and everything else to make sure that it doesn’t happen. Sinead Haughey: Yes, I think those are the reasons that I agree. I really do appreciate you joining us. Thank you so much and if you would be interested in doing this again sometime, we would love to have you back. Dr. Segler: That would be great!